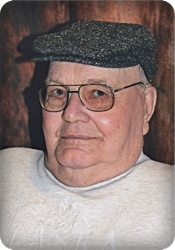 On Monday, April 1, 2019, Clarence Koopman, age 88, of Byron Center, went home to be with his Lord. Clarence proudly served in the Army during the Korean War. He was preceded in death by a brother, Don Koopman; and sister, Marge Hulst. He will be lovingly remembered by his wife of 68 years, Dort (Mingerink); his children, Ron (Chris Petruska) Koopman, Bob (Kris Nederveld) Koopman; grandchildren, Kimberly (Adam) Clark, Kevin (Sharon) Koopman, Kurt (Alyssa) Koopman, Drew (Jamie) Koopman, Erin (Tyler) Tacoma; 10 great grandchildren; and sister-in-law, Caryl Koopman. The family will greet visitors at Corinth Reformed Church, 129 - 100 St. SE on Sunday, April 7, from 4 - 7 pm and Monday, April 8, from 10 – 10:45 am prior to the service beginning at 11 am. Pastor Jay Sowers will officiate. Interment will take place in Winchester Cemetery. Memorial contributions may be made to Victory Ministries Camp Li Wa, 590 Wigwam Way #2509, Fairbanks, AK 99712.